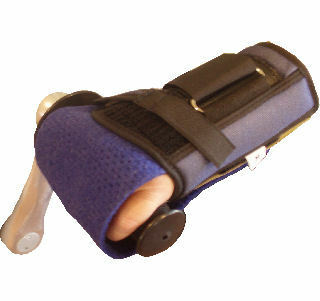 This accessory combines the qualities of a wrist brace and a wrist wrap. It provides wrist stability while also helping riders maintain hold on the hand grip. Sold separately in 4 sizes for either the left or right wrist (this is the LEFT). Made from a durable padded material for maximum wear and comfort. Measurement is wrist circumference.